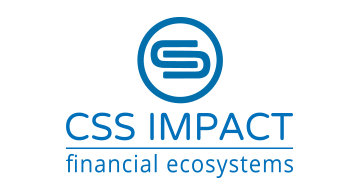 CSS, Inc. is a leading provider of enterprise class Financial Ecosystems, offering a broad portfolio of financial system platforms & solutions that span all financial services. CSS enables companies to transition from their legacy revenue & payment management systems to a modern, cognitive, centralized, cloud financial ecosystem that unifies all business units across an enterprise. With over 15 years of experience in the industry, CSS offers the only end-to-end Financial Ecosystem®. CSS is helping the financial services sector to modernize processes, capture more opportunities, and deliver tomorrow’s digital customer experience today. For more information, please visit www.cssimpact.com.